The registered professional nurse (CAP RN 1) position is an entry level designation into the Clinical Advancement Program for Registered Nurses. The CAP RN 1 is accountable and responsible for the provision and coordination of clinically competent care including assessment, planning, intervention and evaluation for an assigned group of patients. As a member of the Chronic Kidney Disease (CKD) health care team, the CAP RN 1 participates in decision-making, teaching, leadership functions, and quality improvement activities that enhance patient care outcomes and facility operations. 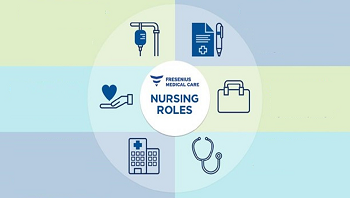 All duties and responsibilities are expected to be performed in accordance with Fresenius Kidney Care policy, procedures, standards of nursing practice, state and federal regulations. Performs all essential functions under the direction of the Clinical Manager (CM) and with the guidance from the Educator, Preceptor or a CAP RN 2, 3, 4 or 5 for the first 6 months of employment. Expected to complete requirements to advance to the next CAP level, for which they qualify, within 24 months from date of hire. Performs ongoing, systematic collection and analysis of patient data pre – during – post hemodialysis treatment for assigned patients and documents in the patient medical record, adjusts or modifies the treatment plan as indicated and notifies Team Leader, Charge Nurse, Clinical Manager or Physician as needed. Recognizes aspects and implications of patient status that vary from normal and reports to or collaborates with appropriate health team members for input. Assesses daily assigned patient care needs and collaborates with direct and ancillary patient care staff as needed. Directs and provides, in collaboration with direct and ancillary patient care staff, all aspects of the daily provision of safe and effective delivery of chronic hemodialysis therapy to assigned patients. Administers medications as prescribed or in accordance with approved algorithm(s), and documents appropriate medical justification and effectiveness. Ensures correct laboratory collection, processing and shipping procedures are performed and reschedules missed or insufficient laboratory collections. Initiates or assists with emergency response measures. Delegates appropriate tasks to direct patient care staff including but not limited to LVN/LPNs and Patient Care Technicians. Monitors patient care staff for appropriate techniques and adherence to FKC policy and procedures. Promotes infection control, equipment and environmental safety. Assesses, collaborates and documents patient/family’s basic learning needs to provide initial and ongoing education to patients and family. Identifies expected outcomes, documents and updates the nursing assessment and plan of care for assigned patients through collaboration with the Interdisciplinary Team. Ensures patient awareness related to transplant and treatment modality options. Makes referrals to Social Worker and Registered Dietitian as appropriate for individual patient education and counseling. Checks availability of adequate emergency equipment and supplies as assigned. Assists with medication tracking and inventory as assigned. 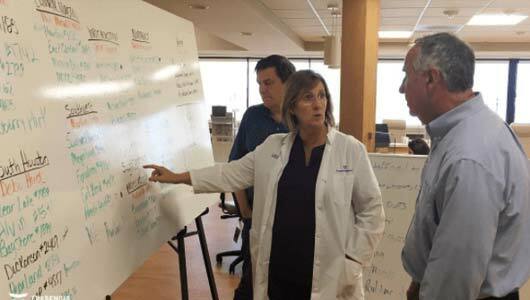 Serves as a resource for health care team, participates in staff training and orientation of new staff as assigned. Participates in all required staff meetings as scheduled. Supports and promotes the FMCNA’s mission, vision, values, and customer service philosophy. Performs all other duties as assigned by supervisor. The position provides direct patient care that regularly involves heavy lifting and moving of patients, and assisting with ambulation. Equipment aids and/or coworkers may provide assistance. This position requires frequent, prolonged periods of standing and the employee must be able to bend over. The employee may occasionally be required to move, with assistance, machines and equipment of up to 200 lbs., and may lift chemical and water solutions of up to 30 lbs. as high as 5 feet. The work environment is characteristic of a health care facility with air temperature control and moderate noise levels. May be exposed to infectious and contagious diseases/materials. Day to day work includes desk work, computer work and interaction with patients, facility/hospital staff and physicians. The position may require travel to training sites or other facilities. May be asked to provide essential functions of this position in other locations with the same physical demands and working conditions as described above. Successful completion of 3 months experience in chronic hemodialysis. Must meet the practice requirements in the state in which he or she is employed. Entry level for RNs with less than 2 years of nephrology nursing experience within the last two years or for RNs with a BSN and less than 1 year of nephrology nursing experience within the last two years. Minimum of 9 months experience as a Registered Nurse (preferred). Successful completion of FKC Education and Training requirements for new employees. Successful completion and maintenance of CPR BLS Certification. Meet all conditions of employment including Ishihara’s Color Blindness Test. Successful completion of all annual required education/training/competencies. Successful completion of on-going training and education as assigned or required. When Hurricane Harvey hit Houston, our team went above and beyond to help dialysis patients. Learn more about nursing roles beyond the dialysis clinic.